Roaring at full throttle, West Bengal Chief Minister Mamata Banerjee on Tuesday asked Prime Minister Narendra Modi to resign and go back to Gujarat. 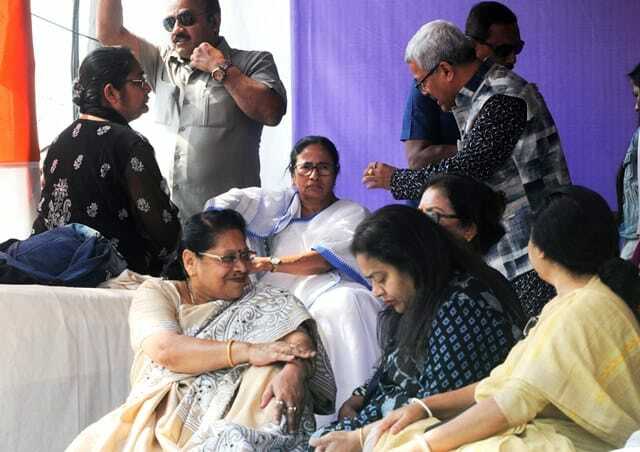 She also said that the Central government’s claim that Kolkata Police Commissioner Rajeev Kumar had joined her in the protest was not true.“The truth is Rajeev Kumar never joined the protest. Is Rajeev Kumar their nightmare? Why are they so scared of? As per the protocol wherever PM, CM or any other minister or Governor goes, the police always has to be with them to give them security,” she said.